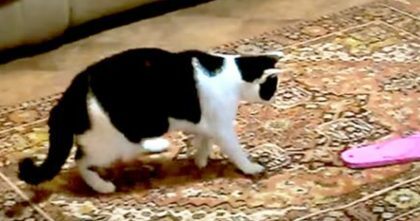 Watch What This Cat Does When She Comes Home From Work Each Day… Awwww!! 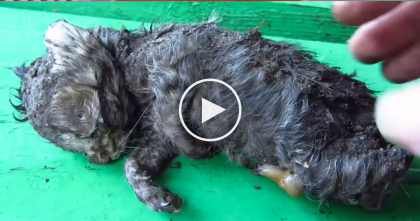 This kitty is the runt of the litter, but when her favorite human comes home, the cutest thing eve happens! She walks into the room and her little kitten stands up on two legs like a Meerkat! She’s only 8 weeks old, but the cutest thing ever, especially when this happens every day after she comes home. 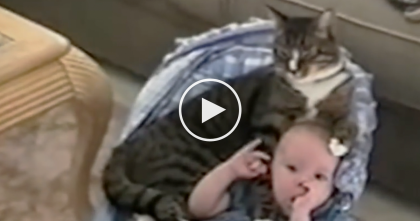 This is just the cutest thing ever—SHARE this with your friends! Rescue Kittens Are Let Loose In A Yoga Class!…OMG! So Cute! Concentration Is Totally Broken! Cats Notice Flip-Flops, But How They React Will Leave You On The Floor laughing… Hahahaha! !